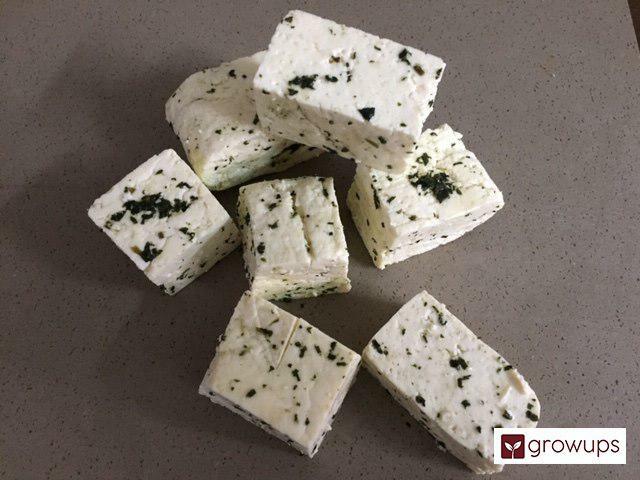 Fresh Halloumi with Salt and Mint by Tutu’s Artisan cheese - crumbly creamy delicately handmade with pasteurized milk and vegetable rennet. Order delicious homemade food with just a few clicks and get notified about changes to your order by downloading the Cookups app. Our app makes your Cookups experience all that much smoother and more enjoyable. © 2019 Cookups Technologies Limited.